Wave a tentative goodbye to knee braces! 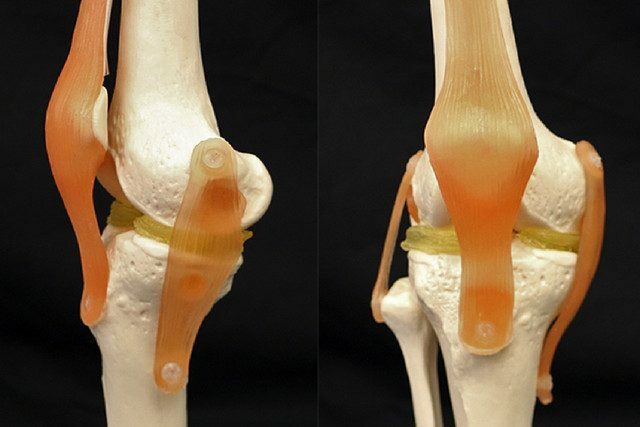 Researchers from Duke University have created a new type of 3D bioprinting material they hope will one day be able to help form cartilage implants for patients with damaged knees. The work is described in a new paper published in the journal ACS Biomaterials Science and Engineering, which spells out how the cartilage-mimicking structures could be used to create customized implants on a patient-by-patient basis. Another challenge was optimizing the mechanical strength of the gel, although after fine-tuning the finished gel matches the properties of bovine cartilage. At present, the team members have demonstrated the feasibility of the 3D-printed material using a plastic knee model. In their demo, they scanned this model and then used their double-network hydrogel material to create a 3D model of the menisci. Impressively, the process took just one day to complete.